Fast Duplicate File Finder is recognized as the the fastest and the most reliable duplicate finder on the market. Any tool that claims faster performance compares MD5, CRC, size, dates, names or other unreliable properties which may lead to incorrect results and loss of valuable data. Fast Duplicate File Finder (FDFF) performs real byte-to-byte comparison and guarantees that the identified files are 100% duplicates. If a tool finds more duplicates than FDFF that is not a sign of better performance – it is a sign of poor detection algorithm and one should really check the results provided by such tools deeper with a proper DIFF tool or a HEX editor. 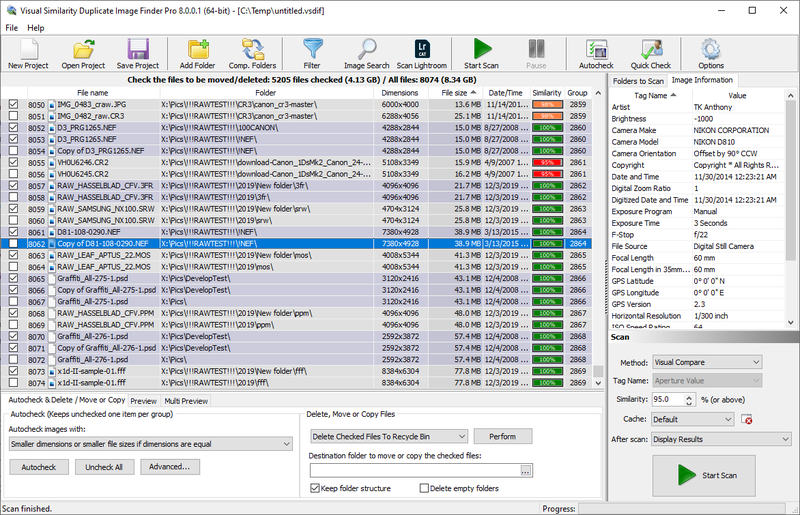 FDFF is already the fastest duplicate file finder on the market, that performs a proper duplicate scan that does not report false positive or miss duplicate files. The latest version provides support for 64 Bit operating systems making the tool even faster and capable of handling larger file lists. The installer will automatically install the proper Duplicate Finder version depending on the user’s operating system. 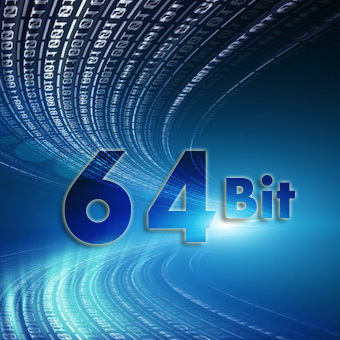 This version also lifts the memory limit that is present in the Windows operating systems for 32 Bit applications running on a 64 Bit operating system. While this feature was already available in the tool it was always enabled by default. What actually means “Preserve group integrity is that regardless of the column that is sorted the items from the same group would always stick together. 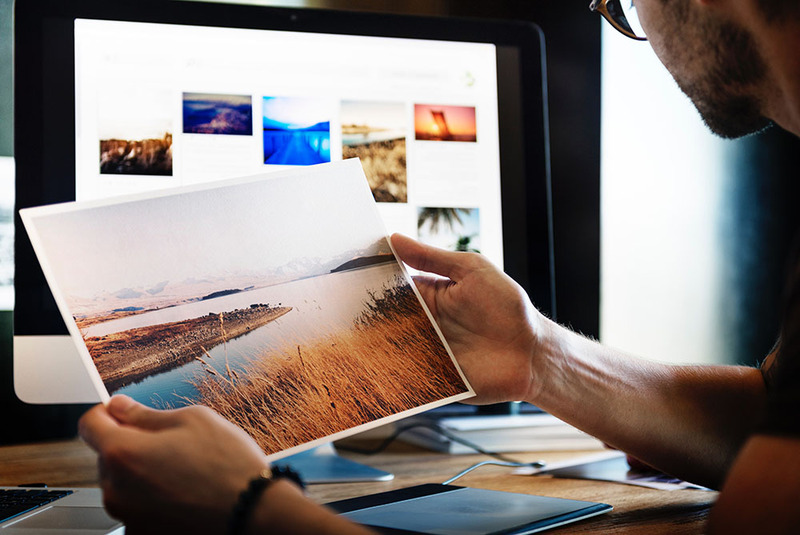 This of course is well necessary in order not to accidentally delete all items from the same group, but in certain cases it is more convenient to sort by certain file property like path, mark all items and “check” them for move delete. After that the option can be restored back and sort the items over by preserving the group integrity. The save, load and export functionality was redesigned in order to better cope with huge file collections. The claim “extremely faster” is not over-exaggerated as the tool may perform the mentioned actions hundreds of times faster depending on the size of the corresponding list. A million files for example are loaded, exported or saved in seconds. This entry was posted in Fast Duplicate File Finder and tagged 64 bit duplicate cleaner, 64 Bit Duplicate File Finder, 64 Bit Duplicate Finder, 64 bit duplicate remover, 64 Bit File Finder, Ashisoft Duplicate File Finder, Auslogics Duplicate File Finder, Best Duplicate File Finder 2017, best duplicate file finder 2018, best duplicate file finder 2019, best free duplicate file finder 2018, best free duplicate file finder 2019, ccleaner duplicate finder, duplicate file finder 2017, duplicate file finder 2018, duplicate file finder 2019, Duplicate File Finder Free Download Full Version, Duplicate File Finder Open Source, Duplicate Finder Mac, duplicate finder online, Fast Duplicate File Finder on January 16, 2019 by MindGems Support.